How Long Will The Proform Smart Pro 9000 Last? Though the Smart Pro 9000 is lacking in a few areas, it is one of Proform’s best models. Accordingly, they have built this treadmill with more quality than some of their lower-end models. Proform has been good about specifically gearing certain models more towards runners than walkers. Thus, with the good build and Proform’s attempt to put a good deal of quality in, the Smart Pro 9000 is likely to hold up well to a heavy jogger or a light-moderate runner. Just be sure to keep in mind that one of the biggest factors in keeping your treadmill up and running derives from keeping it in a good environment. With an investment like this, one would be wise to read up on how to properly maintain a treadmill. This price range warrants a level of quality that is not found in the lower end machines. While we critique the differing qualities, it is difficult to find a bad treadmill at this price. Accordingly, our Third Place Winner in the 2019 Best Buy race has continually improved and has outshined some of the other $1,500 to $1,999-dollar machines. Proform’s Smart Pro 9000 is equipped with their declining ability, a sturdy build, and their typical large quantity of workout programs. Though we are wary of the standard warranty and the iFit subscription, we would recommend the Smart Pro 9000 for heavy joggers to light runners. In the mix of the $1,500 dollar and above treadmills, the Smart Pro 9000 is kind of like a Honey Bun at a bake sale. There is nothing wrong with the saran wrapped treat from our childhood, but a homemade banana nut muffin is usually the first choice. Likewise, while Proform cannot outperform the quality service that comes with brands like True and Precor who are part of the $1,500 and up club, the Smart Pro 9000 can still compete. A few qualities that the Smart Pro has that others do not are the three-percent declining ability and the numerous workout programs (40 to be exact) and the iFit subscription. Though we are not sure how much of a benefit running down a slight simulated hill can offer, it is nice to see bits of added utility when possible. In regards to the programming, we have mentioned our concern with the iFit subscriptions in past reviews. Still, it is nice to see how much value Proform is willing to add in order to make more of the price tag. Just be sure to keep in mind that after the first year of free iFit coaching dries up, you will have to decide if a monthly payment of at least $30 dollars is worth a handsome bodybuilder on a screen. If not, then the Smart Pro 9000 loses a significant portion of its added value. Even still, Proform has built a sturdy machine that is likely to hold up to a decent amount of use. Interestingly, the added holder underneath the console actually provides a little bit of sturdiness. This helps offset the difference between folding treadmills and solid frames in this price range. Solid frames tend to be of more quality as they are usually stronger. But, with an added piece of durability, the Smart Pro 9000 will likely hold its own among the other treadmills in this price bracket. 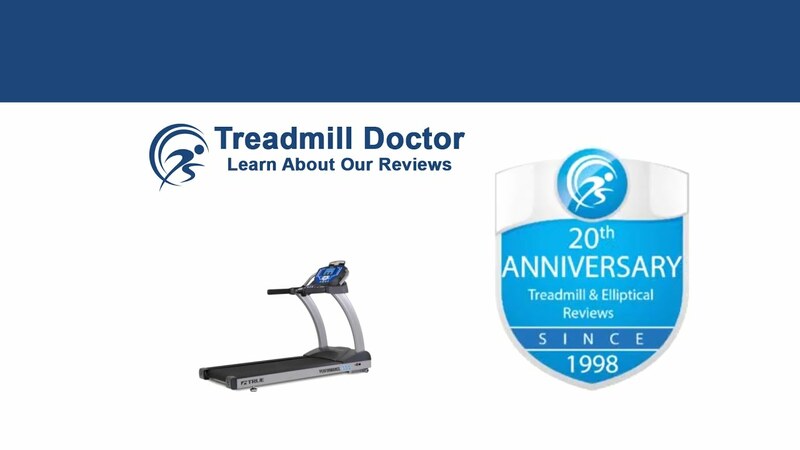 While the warranty with this treadmill is pretty standard for this price range, we find it interesting that Proform is not willing to give maybe just one more year towards labor seeing as how their models in lower price ranges have the same warranty. In the lower price range, a five-year parts and two-year labor warranty is good, but among these better quality machines, it simply is evaluated differently. While our other Best Buy winners have similar warranties, they are backed by reputable companies. Icon, Proform’s parent company, is not known for its good customer service. Thus, a standard five-year parts and two-year labor warranty for a Proform model loses a bit of its shine when compared to the better companies. In the past, we have been pleased with the improvements that Proform has made to their upper-end models. We have noted that the crossbar that Proform calls an "accessory bar" has actually helped improve the stability of the Smart Pro 9000. While not an original idea, we have regarded their attempts to add quality and durability highly.